Everybody's Magazine was founded in 1899. The editor, John O'Hara Cosgrave, was fully committed to investigative journalism. In August, 1902 the magazine published an article by Frank Norris exposing corrupt business dealings in agriculture. This was followed by another article on the treatment of miners, Life in the Mining Region (September, 1902). These articles established it as a magazine concerned with social justice. 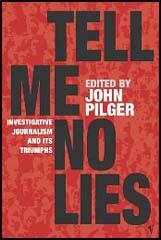 However, its critics described it as muckraking journalism. By 1903 Everybody's Magazine had achieved a circulation of 150,000 and with an increase in advertising revenue was making a small profit. Other outstanding journalists who worked for Everybody's Magazine included Charles Edward Russell (The Greatest Trust in the World, February, 1905, Where Did You Get It, Gentlemen? August, 1907), Upton Sinclair (The Condemned Meat Industry, May, 1906), Thomas Lawson (Frenzied Finance, July, 1904; Fools and Their Money, May, 1906 andThe Muckraker, August, 1906), Mary Vorse (In Bohemia, February, 1907, Undoing of Man, March, 1907), Ambrose Bierce (Have We A Navy? October, 1909), Lincoln Steffens, (Least of Those, January, 1909, Mickey’s Homicide, February, 1909, An Exposition of the Sovereign Political Power of Organised Business, September, 1910) and C. P. Connolly (Big Business and the Bench, February, 1912). The series, Frenzied Finance, lasted for over three years (July 1904 - February 1908) and to help sales, the author, Thomas Lawson, spent $250,000 of his own money to advertise it. This was highly successful and sales reached 750,000 by 1908. Circulation dropped at the end of the series to 500,000, but as the owners of the magazine were selling 150 pages of advertising a month, they still made a healthy profit. During the First World War, Everybody's Magazine argued that the United States should support Britain against Germany. 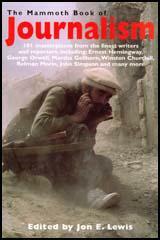 The former president, Theodore Roosevelt, wrote a pro-war article, America - On Guard! (January, 1915) and Samuel Hopkins Adams produced a piece on the dangers of German propaganda. In January, 1916, a group of British authors, including H. G. Wells, George Bernard Shaw and G.K. Chesterton, contributed to the series, America's Neutrality as England Sees It. After the First World War sales dropped dramatically. In December 1926, the owners of the magazine brought an end to its campaigning political articles, and decided to concentrate instead on fiction. 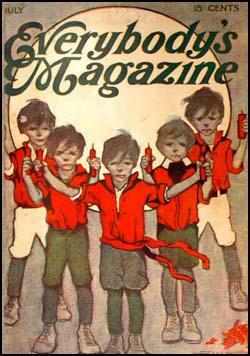 This failed to halt the slide in sales and by 1928 the magazine was selling only 50,000 copies a month. Everybody's Magazine ceased publication in March 1929. Through its workings during the last twenty years there has grown up in this country a set of colossal corporations in which unmeasured success and continued immunity from punishment have bread an insolent disregard of law, of common morality, and of public and private right, together with a grim determination to hold on to, at all hazards, the great possessions they have gulped or captured. It is the same "System" which has taken from the millions of our people billions of dollars and given them over to a score or two of men with power to use and enjoy them as absolutely as through these billions had been earned dollar by dollar by the labour of their bodies and their minds. Wall Street cannot gull the public as it once did. Insurance is on a sounder basis. Banking is adding new safeguards. Advertising is nearly honest. Food and drug adulteration are dangerous. Human life is more respected by common carriers. The hour of the old-time political boss is stuck. States and municipalities are insisting upon clean administrators. The people are naming their own candidates. Protection is offered to the weak against the gambling shark and saloon. Our public resources are being conserved. The public health is being considered. New standards of life have been raised up. It is a new era. A new world. Good signs, don't you think. And what has brought it about? Muckraking. Bless your heart, just plain muckraking. By magazine writers and newspapers and preachers and public men and Roosevelt.